AUNTY HENNYS: PAT MADE ME DO IT! PAT MADE ME DO IT! I just couldn't stop myself..... I read Pat's blog post HERE about how she made her HST's for the AFA quilt-along and I wanted to make another block immediately! Pat shows how to make the 8 HST blocks by placing two 12" squares together and marking the diagonals and sewing across the diagonals and then cutting everything apart to yield the HST's - fabulous!! Very accurate with just a smidgen of trimming to do. I've been collecting Batiks for some years now, with the plan to make a quilt for my guest room in a Polynesian theme. The AFA quilt will look great in batiks! So late today I put two 12" squares together (I know.... orange and green AGAIN!) and drew my lines. I used my Singer 201K again - did I mention how I love to sew on this machine? Sorry the photo of the block is a little dark - I was so keen to show you!! If I used the flash on the camera, the block looked washed out. I'll take a better pic tomorrow to post on the Quilting Gallery site. Thank you Pat ! I love this method! 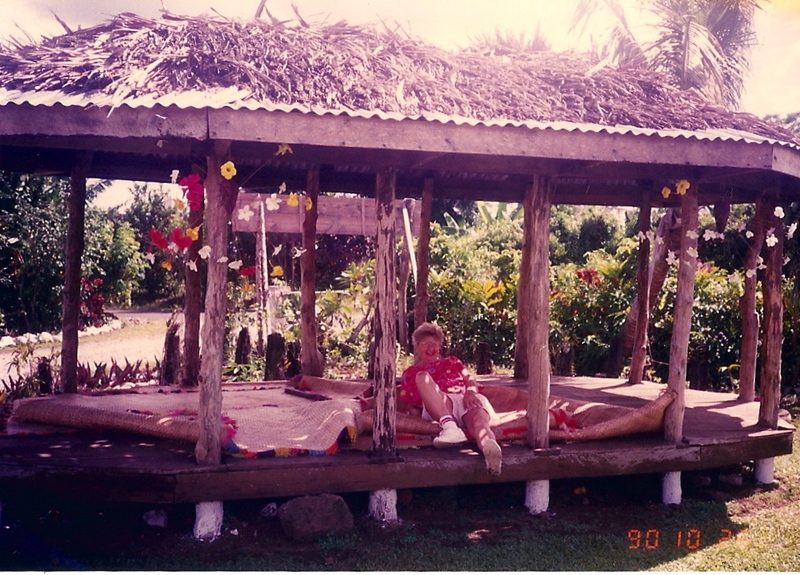 If you are a long time follower of my blog, you may recall that my hubby and I lived in Papua New Guinea and American Samoa many years ago. So that's why I want to make a Polynesian theme quilt - perhaps I should be calling it my Island theme quilt as PNG is Melanesian. A much younger ME ! 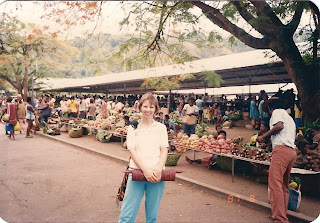 markets in Rabaul I think. The next block in the AFA quilt-along will be posted soon, can't wait to see what we are sewing next! 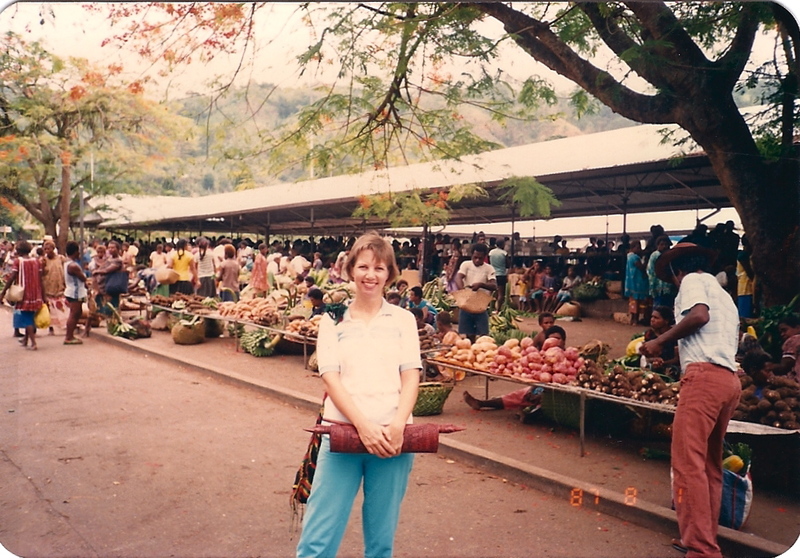 Great work Helen, they are much easier that way the HST, those pictures remind me of when I was young and lived in PNG, have fun!! I'll definitely be trying the new method of HSTs. Love it. 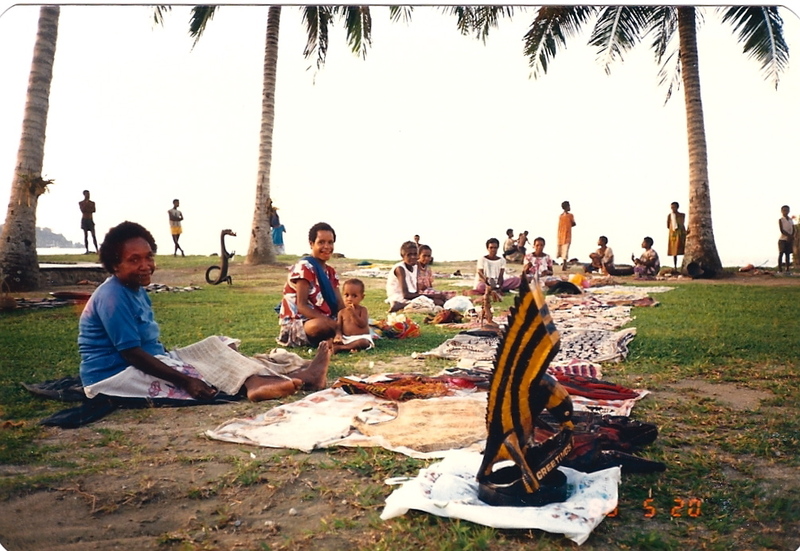 You can never go wrong with batiks!